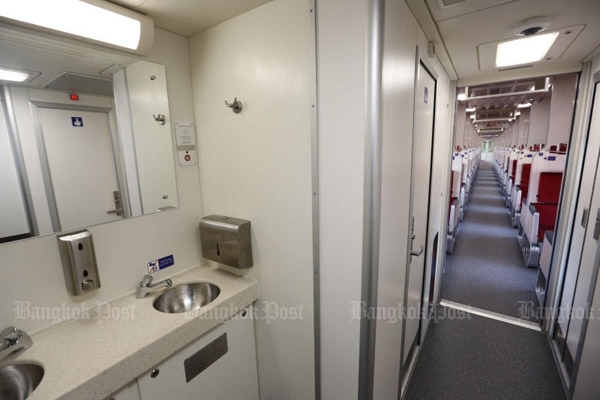 The State Railway of Thailand on Thursday unveiled 39 modern train carriages with seat-mounted screens and aircraft-type toilets which will go into service on the Bangkok-Chiang Mai route next month. 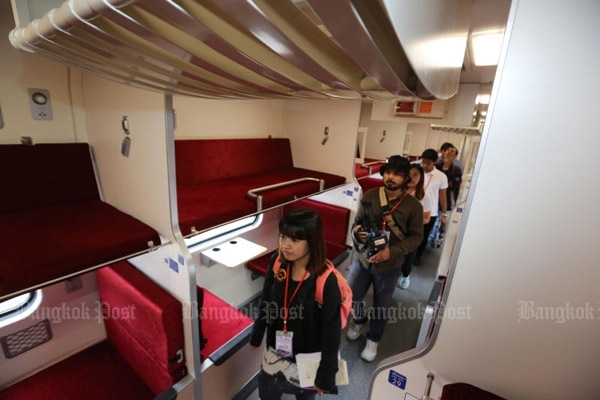 The state enterprise showed off the new trains at its Siracha Junction in Chon Buri province. It has ordered 115 trains from China Railway Rolling Stock Corporation and China CNR Corporation. Deputy Transport Minister Ormsin Chivapruck said it was a turning point for the SRT as it seeks to modernise its train services for passenger convenience. SRT governor Wuthichart Kalyanamitra said the 39 new carriages have been given a thorough check. He said deliver of all 115 cars would be concluded by September. 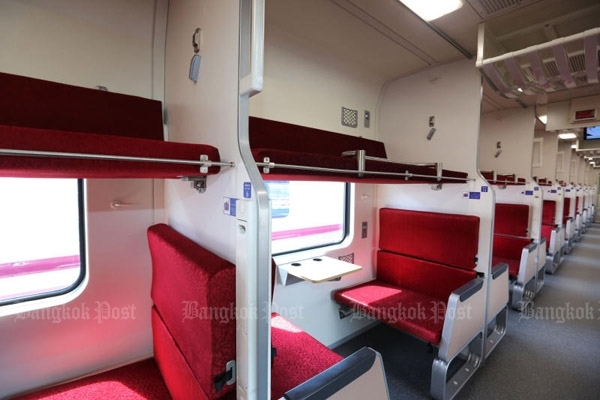 They will operate on two daily express train trips on four Bangkok routes — to Chiang Mai, Hat Yai, Nong Khai and Ubon Ratchathani — by September next year, he said. 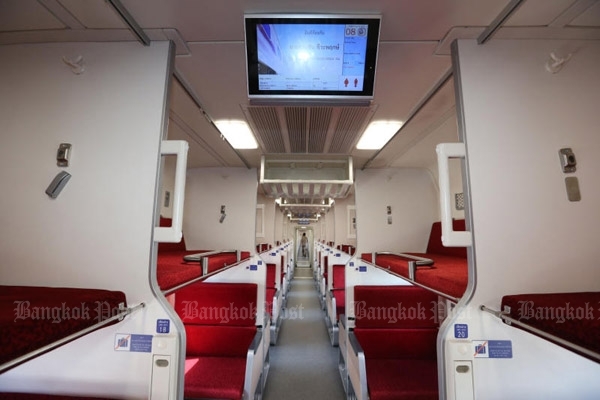 Nine of the 115 carriages will be first-class sleeper cars, with 12 carriages having 24 seats each. Each first-class seat is equipped with a TV screen with movies and music content and a USB slot for battery recharging. Passengers can also order food and beverages via a communications system right at their seats. 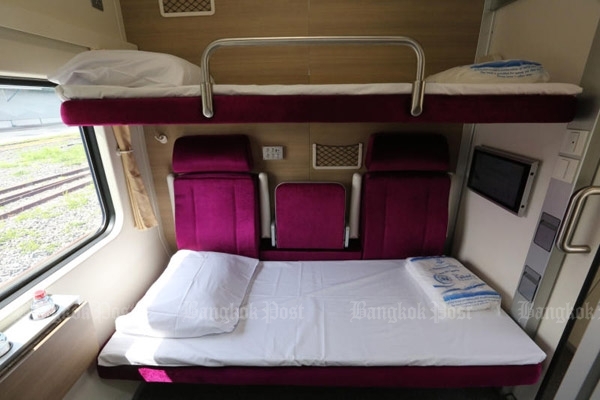 Eighty-eight carriages will provide second-class sleeper services that include big screens. 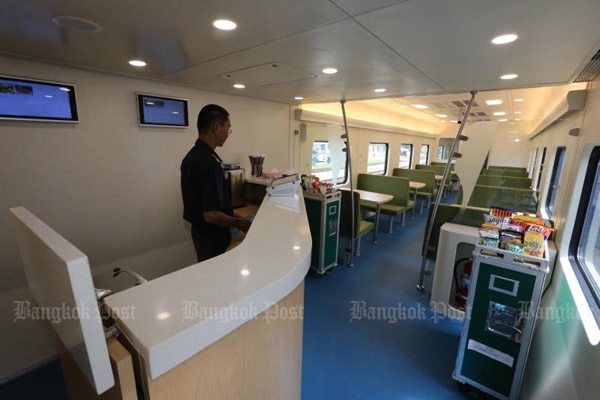 Others include dining cars and carriages with facilities to serve people with disabilities and the elderly including wheelchair elevators. 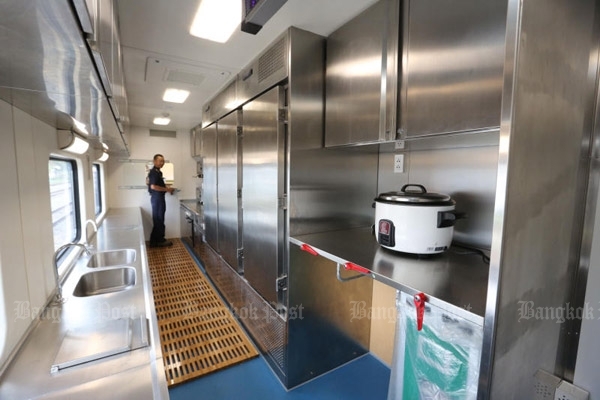 The new units also have wheelchairs, vacuum toilets, surveillance cameras, opened door alarms, and sealed space between carriages for passenger safety. Fares will be the same on the new trains.